CCI has learned from the Christian Worker Movement (ACO) in Rouen France that assassinated priest, Fr Jacques Hamel, worked closely with the movements of the Mission Ouvrière, which include the Young Christian Workers (JOC-YCW) as well as the ACO. “This Tuesday 26 July 2016, terrrorism struck at the heart of the Church of Saint-Étienne-du-Rouvray,” an ACO Rouen statement says. “As members of the Christian Worker Movement (ACO), we express our communion with the family of Fr Hamel, who was odiously assassinated, and to the victims of this attack. We share the immense pain of all members of the parish. “Fr Hamel was mindful of people’s lives, welcoming, discreet, and we are particularly for his accompaniment of the movements of the Mission Ouvrière (Worker Mission),” the statement says. “As believers in Jesus Christ, we are convinced that living together is possible. This odious act must not destroy the dynamic of solidarity. “We will continue to build fraternity and solidarity in our places of life with the Muslim community, as well as other religious communities and all people who share humanist and pacifist convictions. “Multiculturalism is a wealth to be shared. Let us dare to look, to listen and to take care of others… Together we will get through this testing time,” ACO Rouen say. “We wish to remain upstanding and more than ever engaged in the struggle for the dignity of humanity, for justice and peace in our country and in the world,” the statement concludes. CCI International coordinator MJ Ruben also expressed condolences at the death of Fr Jacques. 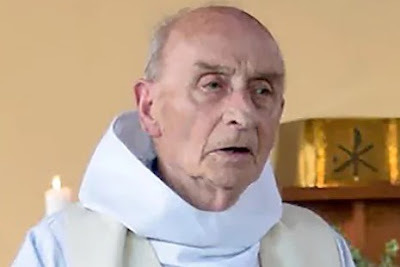 “Cardijn Community International (CCI) is deeply saddened at the brutal killing of Father Jacques Hamel by the fundamentalist forces,” Ruben said. “Fr Hamel was a man of the masses, according to all those who knew him and he worked for inter-faith union,” Ruben added. “CCI is taking up the cause of both lay and religious Cardijn martyrs to be recognised by the Church. “Fr Hamel is one such Cardijn martyr whose sacrificial blood is the seed sown for religious freedom and social harmony. “CCI which aims to promote Cardinal Cardijn’s spirituality, vision and methodology draws inspiration from the life and death of Fr Hamel. “We shall continue to work towards restoring peace and harmony,” Ruben concluded.